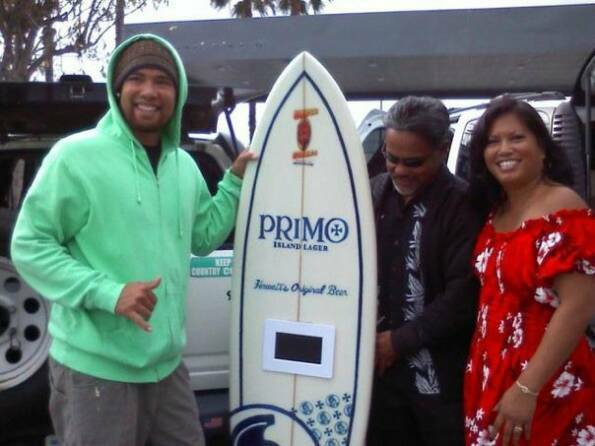 We delivered the custom digital frame to Devin Keoni Ryan, Marketing Rep for Primo Beer. 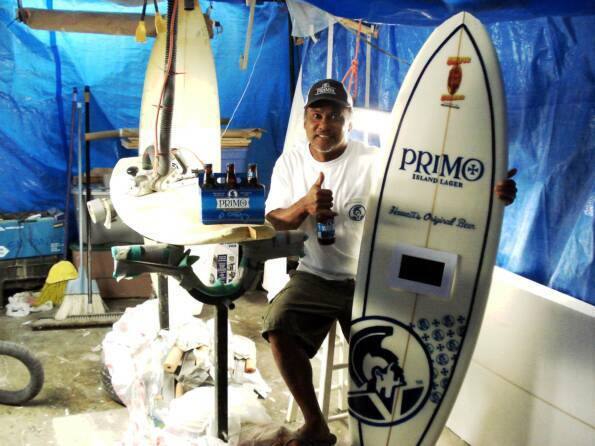 Mahalo Devin for the Primo swag - we shared with my dad and brothers. 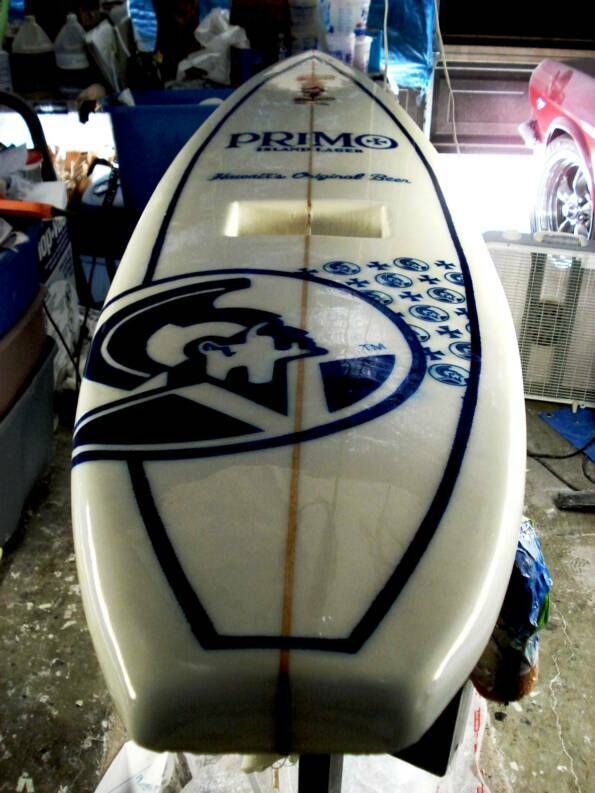 Can't wait to see pictures of the board displayed at future Primo events! 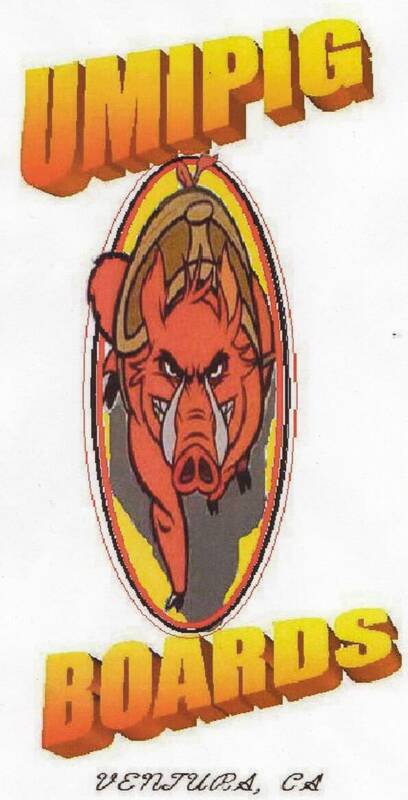 Custom digital frame made for Primo Beer. Contact us to order your personalized frame today. Sacred Craft Surf Expo @ Ventura fairgrounds. 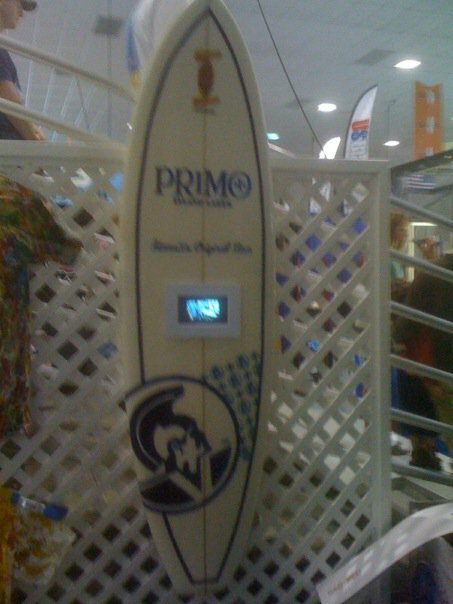 Check out Frank's Primo surfboard digital frame on display.